Opioid abuse is a phenomenon known too well in the United States. This epidemic affects not only the health of the people who are addicted but hurts the families, and communities they live in. Opiate addiction currently affects ~2.1 million Americans, and anywhere from 26.5 to 34 million people worldwide. A problem that affects all of us. It becomes our obligation as humans to ensure that society helps to correct these kinds of problems. In an interview I conducted with a rehab psychologist, I was made aware of some shocking statistical anomalies that I had never heard of before. 4 of every 5 heroin addicts began as prescription painkiller users. For me, this is where I began my work. I set out to try to fix the source of the problem. Opiate Tolerance, and Withdrawal Symptoms. Tolerance: A state in which an organism no longer responds to a drug and a higher dose is required to achieve the same effect. Withdrawal: The group of symptoms that occur upon the abrupt discontinuation or decrease in intake of medications or recreational drugs. To first illustrate these concepts, I want to begin with two stories from my own life that helped illuminate that these were, in fact, a major component of developing an addiction. Jenny’s tale began as a 65-year-old woman who, after a long period of time began to notice a pain in her neck. At first, it was nothing of worry, but it began to develop into a continual deep aching pain, one in which over the counter painkillers could not help. She decided to consult her doctor, who after some deliberation diagnosed her with chronic pain and decided to prescribe her with Oxycontin, a quite common opiate drug which is used to treat this problem. This solved the pain for about a year, after which, the pain had resurfaced. Once again after seeing her doctor, she is then prescribed another opiate. The difference, however, is she prescribed a much stronger drug Fentanyl. But like before, eventually the pain comes back. This cycle of upping her dosage continues for a number of years, until she is so doped up, that she is essentially in a zombie like state. This once vibrant exciting woman, who played with her grandchildren, has now been worn down to a lifeless woman, who has developed an extremely high tolerance for opiates. The problem is, if she were to be taken off of the medication, she would most likely die from a seizure or from a heart attack, as her body cannot take the shock of being off of the medication. While this story may seem unique or very specific, I tell you it because it’s based on a true story of a person in my life, who has and still does struggle with opiate abuse. 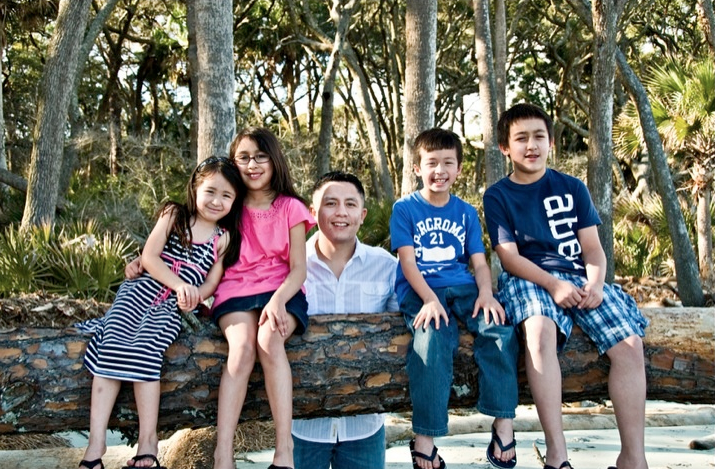 John is an engineer at Nuance Technology, a prestigious company, in Dallas, Texas. He has a family, a wife, and four children. John was a computer hardware developer, and very successful in his work. He also coached his children’s basketball league. During practice one day, while coaching, he slipped and tore his ACL on the basketball court. After an MRI scan, the doctors told him he would need surgery. The surgery went smoothly, and to help him cope with the pain he was prescribed Vicodin. His rehab went well, and after he finished recovering, he was told to stop taking the Vicodin. However, immediately after he stopped, he began to notice nausea as well as a craving for the opiates. This went on for a week until he finally decided he could no longer take it, and he began using the Vicodin again. Once his prescription ran out, he had to go and find them illegally. After a month of this, his wife began to notice a large amount of money was missing from their bank account. Confronting her husband about it, he became extremely agitated and left. Eventually, his wife caught on and forced him into an intervention. He agreed to go to rehab and completed the program with no issues. His work was notified that he had gone to rehab, and so they allowed him to keep his position. However, like most opiate addicts, he relapsed. This time, the company caught on and warned him that he must complete another rehab program or he would lose his occupation. He failed the second time. After this, his wife and family left him. The story this is based on directly affected a very close friend of mine. His entire family has been torn apart and his father’s record ruined, all because of an ACL repair surgery. As a result of these experiences, it has become a passion of mine to end this epidemic that has plagued society, so that no one has to suffer like this. Why Does Opiate Abuse Matter to Me? Aside from the two stories I told you above, there is one bigger reason at play for why I am passionate about this topic. I am from Baltimore, Maryland, which if you didn’t know is known as the “Heroin Capital” of the US by the DEA. Estimates from 2012 show that 1 in every ten households in Baltimore alone, use heroin in some form. This does not include prescription opiate painkillers. This past year alone, Maryland had 1,468 reported heroin overdose deaths. That’s 1,468 mothers, fathers, sons, and daughters, that are now gone forever. My father is a neurosurgeon, I growing up my dad would come home and tell me about teenagers younger than Jason Amaral, who died of heroin overdose. Two years ago I volunteered at the HIV Clinic at Johns Hopkins hospital, which provides care for the some of the lowest income citizens of Baltimore. This is where I met many of these heroin addicts and heard their stories. They told me about their dreams and aspirations before they began doing opiates. They gave life advice for situations I never myself thought possible. For me, this was a connection. Whereas before I had simply heard about these people on the news, now, I was interacting with them. I was learning their life stories, and I was seeing them and meeting them as actual people. The reason for why this matters to me is simple. It matters so that I can help make sure people like Jason, never become hooked on opiates. So that people like my friend never have to have their families torn apart. This is why opiate abuse matters to me. As the simulation showed you, your brains opiate receptors are responsible for inhibiting the release of inhibitory Neurotransmitters. More specifically this chemical is known as GABA (Gamma-Aminobutyric Acid). GABA is responsible for keeping dopamine release in check, in order to ensure the system is not over flooded. GABA levels fluctuate as a result of activities we do in our daily lives. Opiate receptors are surface proteins on neurons that attach to opiates. They are G-protein chain, which means they receive a stimulus, in this case, an opiate, and in turn send a message to the neuron, in this case, to inhibit GABA release. They are in area’s associated with pain tolerance. I will cover more about these a little later, as these are the key to the problem. A gene is a sequence of DNA that codes for a specific protein. Transcription Factors are proteins that are responsible for regulating the production of a specific gene sequence into a protein. Each factor is specialized to match up with a specific gene sequence. When there is too much of a protein, the transcription factor produces less of the protein, and when there is not enough, transcription factors produce more. HDAC (Histone deacetylase) is a specific enzyme responsible for deacetylating histones, making them wrap tighter around DNA strands. These, like Transcription Factors, have targets. In layman’s terms, their purpose is to slow the production of a specific protein by making it harder to get to. Down-regulating is a term that refers to the production of a protein. If a protein is being down-regulated that means less of it is being created. In this model, down-regulation is controlled by HDAC, because it slows the production of opiate receptors in the neuron. *If there are any terms or concepts that were not explained that you think I should add, post them in the padlet at the bottom of the page. Earlier I mentioned my goal, to prevent tolerance and withdrawal to opiate painkillers. In order to for you to understand what is going on in my treatment you must understand what exactly withdrawal and tolerance are. They are a lot more than symptoms, they are the result of a complex chemical systems equation in your brain. As the simulation showed you, with the inhibition of GABA, the system became flooded with dopamine. The problem is, your body throws up a warning flag. There is too much dopamine in the system. So your body adjusts. It down-regulates the number of opiate receptors in the brain. So, when a neuron envelopes the old receptors, they are replaced with new opiate receptors, albeit in a lesser quantity. Because there are less, it becomes harder for opiates to be able to inhibit GABA from releasing. 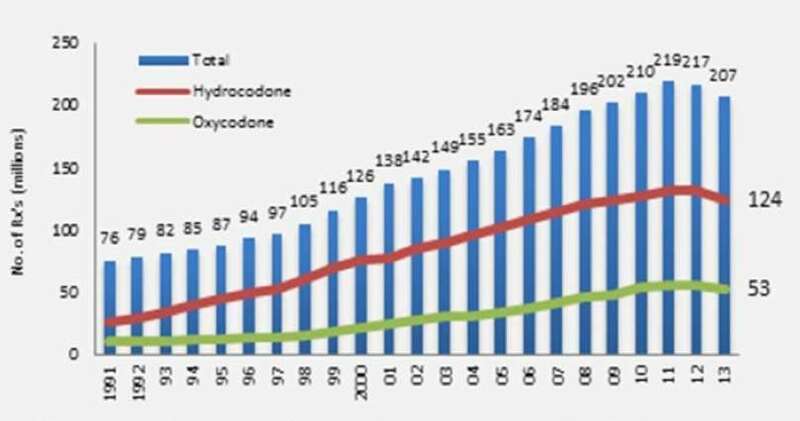 The result of this means that people feel less pain relief from taking the opiate than from before. This leads to people needing increased doses in order to stop the pain because the neurons are continually down-regulating the number of receptors. It is important to note that this change is gradual. This is how drug tolerance is created. Withdrawal occurs as a result of stopping opiate use. On a cellular level, what is happening is, your body is starved of opiates to fill the opiate receptors. This causes a flood of GABA, which in turn cuts off dopamine from being released. Because opiate receptors in the brain are located in the pain tolerance region, dopamine regulation is essential to allowing the tolerance of pain signals. Because the dopamine is not there, people feel a deep aching pain all over their body. The body will, over time, adjust and fix a person’s baseline, and will up-regulate, which means increase the number of opiate receptors, however, like the down-regulation this process takes time. Often times, people’s inability to tolerate the pain is what drives them to begin to take opiates again. The craving to take opiates comes about as a result of the body trying to re-establish a baseline. The rehabilitation and treatment of opiate addiction focuses on trying to get people to do activities that will help them reset their natural baseline of dopamine. The two main strategies are to increase the bodies natural production of epinephrine (body’s own opiate) and to use controlled amounts of opiates to gradually lower their baseline, back to normal. As I mentioned before, there are many ways to release epinephrine. The two mo ideas in practice are running, and yoga. Both help to increase the epinephrine levels, in order to lessen the symptoms associated with opiate withdrawal. The other therapy, which is often used in combination, also works to restore the baseline, by providing the opiates needed to prevent GABA from being released. The dosage can be lowered gradually, and over time patients will be able to restore back to baseline. The problem with this method is, it takes time, and a lot of effort to carry out, and requires the patient’s willingness to go through the hardships of withdrawal. What occurred to me as I was doing my research, is that all treatments currently are done in response to the body being damaged; however, I was determined to do something different. Instead, I was driven to prevent addiction in the first place. I wanted to find a feasible and safe way to protect or prevent the loss of opiate receptors in the brain. So here’s my solution. You may remember that I told you Opiate receptor down-regulation occurs of HDAC. HDAC on its own is an entire subcategory of chemicals that are used throughout the body. What you may not have known is that there already exist a series of drugs known as HDAC inhibitors. Their purpose is to bind to target HDAC’s in order to prevent them from deacetylating their sequences. My proposal is very simple. I want to develop an HDAC inhibitor designed specifically to bind to the HDAC’s responsible for down-regulating the opiate receptor. Through decoding, I could figure out the exact structure of the HDAC responsible and could create a drug that inhibits it. By doing so, I prevent the ability for Opiate receptors to be down-regulated and in turn can prevent gradual tolerance to the drug. By doing this, I could effectively prevent withdrawal and tolerance to opiate drugs. Effectively preventing and ending opiate addiction. Please feel free to use this padlet to post any comments or questions you may have about my presentation. I will be checking this consistently and try to answer as much as I can. Also feel free to email me personally at mabethel@students.gilman.edu with any questions… I will try to get back to you as soon as I can.